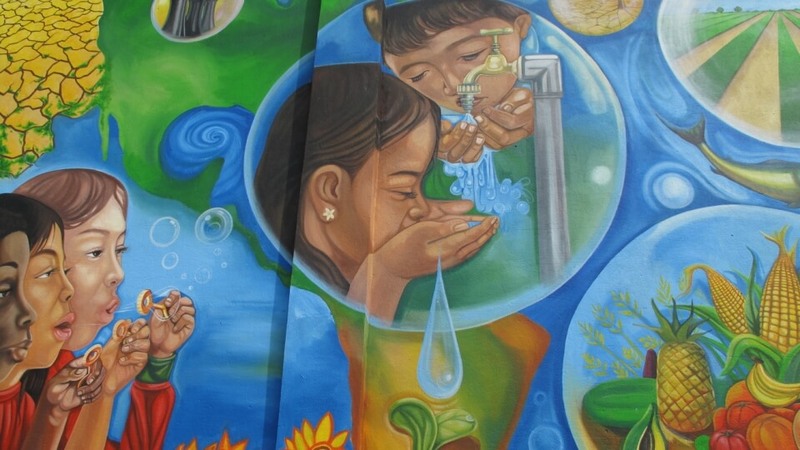 Issues surrounding water are illustrated in a variety of bubbles in this 600 square feet mural painted by Nicaraguan Julio Moreno : its key role as a source of life, in agriculture, to vegetation. 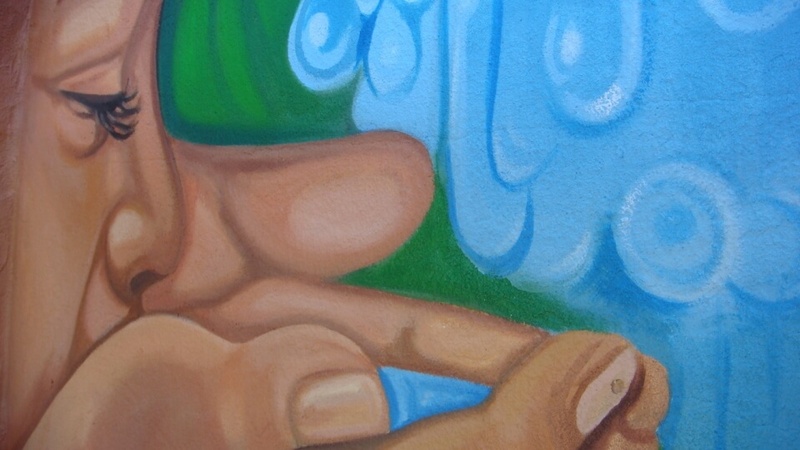 The devastating effects of a lack of water on our daily lives are also demonstrated: forest fires and the drying out of land. 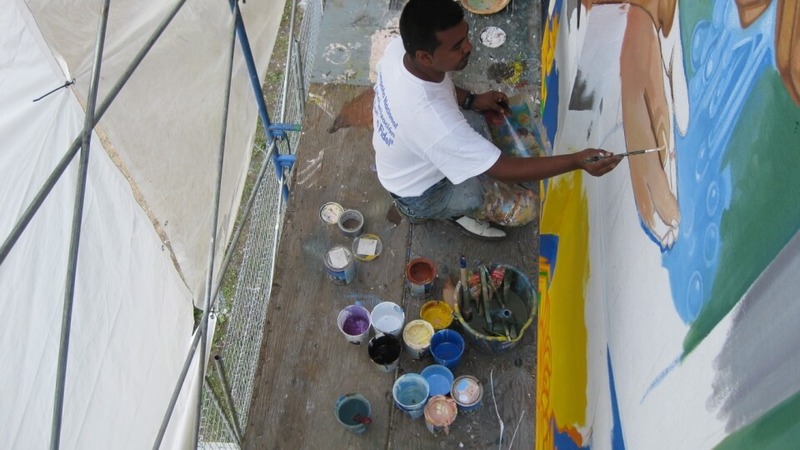 In his work, the artist Julio Moreno was asked to convey the importance of water as a source of life, similarly to another project in Nicaragua. 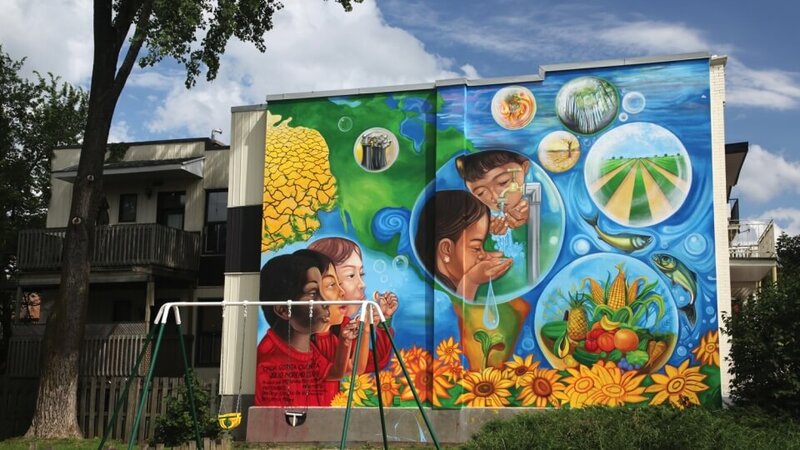 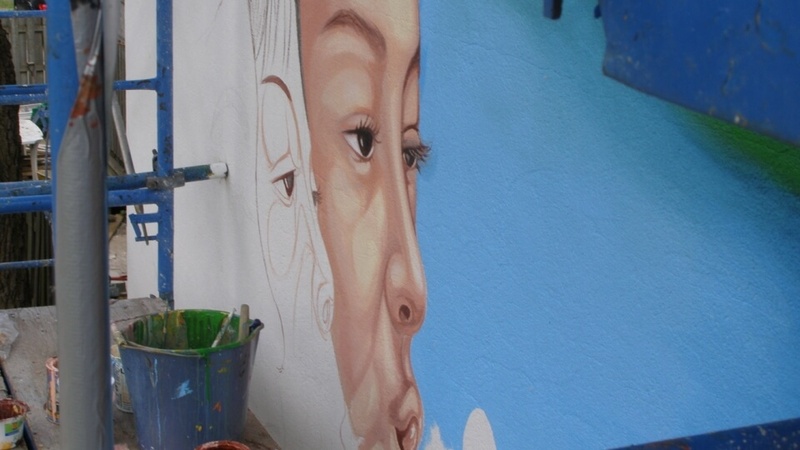 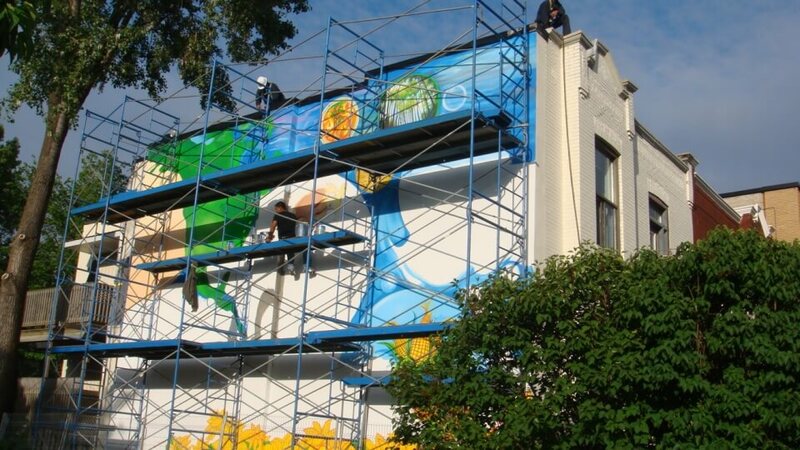 The objective of the mural is to raise the community’s consciousness on issues related to preservation and access to water. 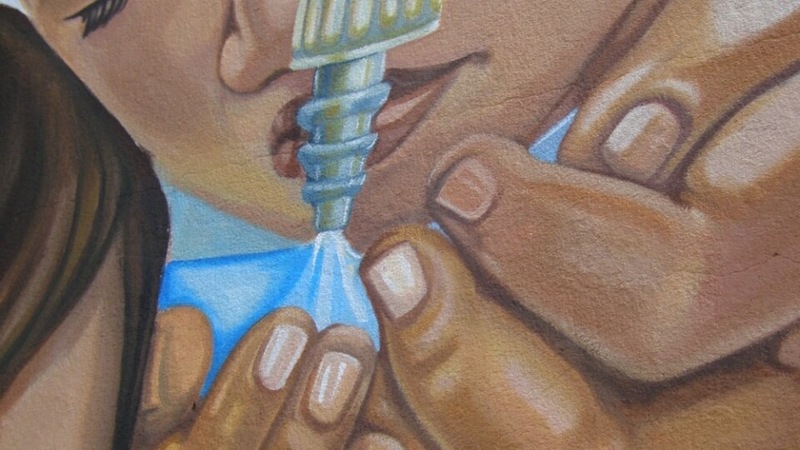 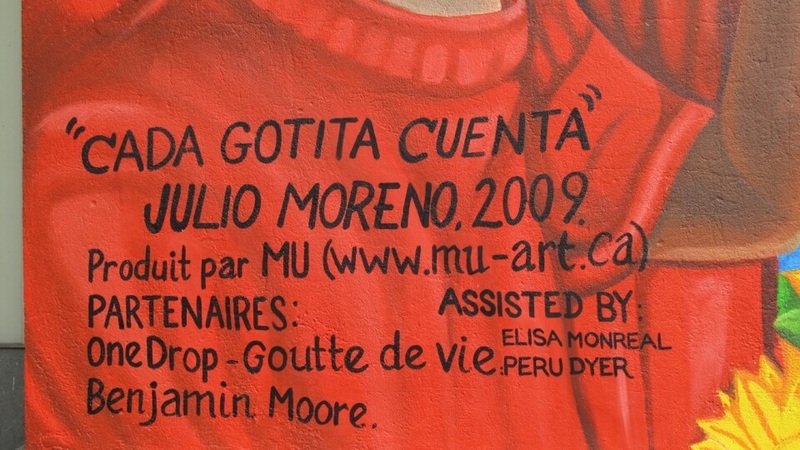 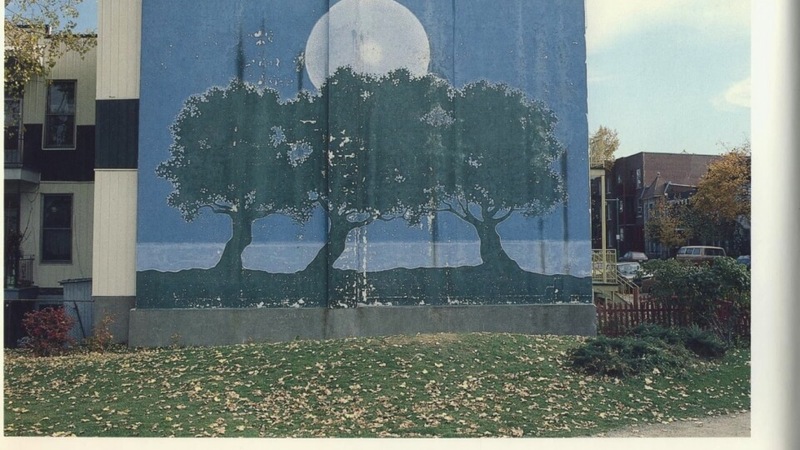 Elisa Monréal and Peru Dyer assisted the artist throughout the completion of the mural.